Or more specifically to Orlando Bloom who turned 36 today. Hope he, his wife and beautiful child have a wonderful day! And we'll be catching him in the next Hobbit film to be released; The Desolation of Smaug! Can't wait! Lizzie: WARNING THIS COMMENT INCLUDES A THE DESOLATION OF SMAUG SPOILER!!!!! Lizzie: I CANNOT wait to see Legolas in Mirkwood again! Desolation of Smaug comes out in less than a year!!! Lizzie: Whoa, his birthday is 16 days apart from mine, and he's my 2nd favorite character next to Aragorn in LotR!!! Freaky.... Is Orlando Bloom really 36?????? Wow, time flies when you're basically an elf... Happy Birthday to him!!! i can't wait to see the next hobbit!! OMG ME TOO♥ i just want it already ok.
... I totally know who that is lol. He's the actor who played Legolas in the Lord of the Rings films. Oh. You're invited to the internet party too! Oh my word, I completely forgot! D: Shame on me! Happy birthday, and hope it's a great day for him and his family! He does doesn't he? Don't know how he does it! oh! didn't know that it was orlando's birthday!!! happy birthday to the hottest and samrtest actor/ elf/ pirate ever!!!!!!!!!! Yes ! a beautiful day ! I'm so happy for his family. Autumn Contest Prizes Update EDIT: Hi all!!!! karatechick13 here finally! Sorry about the delay, uni has been getting the better of me lately, but Here I am and onwards we go! So, below I've finalized the details, added some prizes (Although any other contributions would be amazing!) and generally finished off what the wonderful kittykatkanie started. I can't thank her enough! so... enjoy and get creating! Hey all! I'm here on behalf of :iconkaratechick13: because she's busy lately. As she mentioned in the previous journal, the group will be holding another contest! Valentine's Contest! Closed and POINTS!CONTEST CLOSED!!!! Hi there! Entries for the Valentine's Day contest are closed. We have had heaps of wonderful entries and choosing the winners is going to be hard! They will be announced on Saturday Australian time. We would love to thank everyone who entered or contributed prizes!! And please go and give the artist lots of love and favs! Check out these wonderful entries! Secondly the POINTS! Thanks to a recent contest win from one of the contributors we now have points to give as prizes! Check them out below. And finally we would love to wish you all a happy Valentine's Day and we hope it is filled with lots of Legolas-y goodness!! New Contest!So we're going to be hosting a new contest soon with the theme of Autumn! It will start sometime next week, the rules will be similar to before as will the voting process. Any medium (except photomanips and writing because they really are just too hard to judge against other mediums), something to do with autumn and must include Legolas... the deviation doesn't have to be new but it DOES have to be submitted to the contest folder that will be going up next week. Good luck and get creating!!! Wishing you all a Merry Christmas/Happy Holidays/have a wonderful day from all the admins here at LegolasClub. 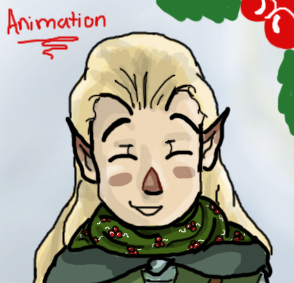 To celebrate please enjoy some Legolas related Christmas pics! New Admins NeededHi guys, all positions are open, we need people to help make this place a bit more lively. I'm incredibly busy at the moment and need all the help I can get. So if anyone wants to help out, create contests and journals, or even just help manage the incoming submissions we'd love to hear from you! Quick HOBBIT updateSo with so many new rumors flying around I'm sure you're all up to date with the basics, but a sneak peek of the 2013 Hobbit Calendar has been released and guess who features!? That's right! LEGOLAS! So without further ado here's the link... go check out the wonderful that is the elven prince. 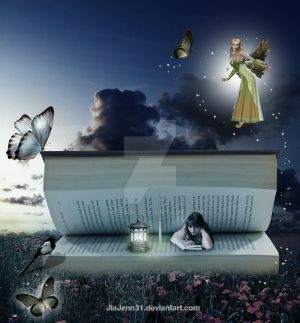 The Magical Character contest is now Closed.
. Particpate & Create and most important have fun. If this is your first time seeing the WP, check question and answer 6 in our FAQ to find out more about it. Below the feature is the results of these contests! Another Loki feature! 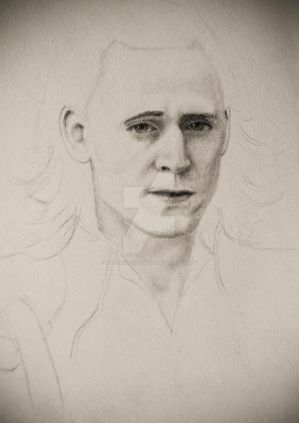 This time I want to feature some of the best (my favorite) Loki & Tom Hiddleston sketches (traditional drawings) and some other amazing Loki art. The collection of Loki Daily Deviations is also in the making and I think that I'll submit this journal soon. I'm still not sure if I've found all the Loki DDs, so this is the last chance to get some points (for details take a look at "Feature 3"). The upcoming feature will be "Nature (Traditional)". 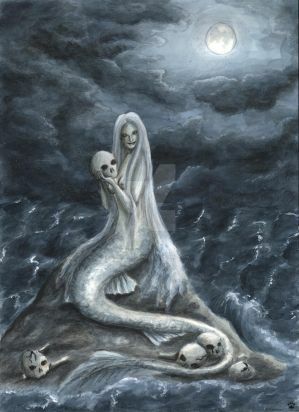 I'm looking for beautiful traditional drawings and paintings of animals, plants and other nature related themes. Landscapes will be featured in another seperate journal. Great works using my stocksHere's many beautiful works using my stocks ! I love them sooo much ! Featured artists! Show them some love! The One I loveO Lord, You are clothed in beauty, glory and majesty. Your smile is the sunshine lighting up the world. Your voice is the sound of waves on the shore. Your laughter is the loveliest of music. Your footsteps are heralds of peace. Your hands are instruments of healing. Your mind is the source of wisdom. Your heart is the wellspring from which all love flows. Your arms are my safe haven. By Your side is where I long to be. Your presence is the only place where there is joy. Some light shall live, untouched by shade. Hearts Never Belong To TwoBrazen skin. Rusted and darkened, breaking at the seams. But I submerge deeper, looking for discrepancies. Old-age antiquities, invaluable to me. But the silver tongue doesn’t divert me. Words pour into my ears. Persuasion is the greatest weapon, lies like poison. The bombardment insistent, the damage invisible. But secrets float to the surface.